TextPlus – Is The App Worth Giving: In the mobile first age and with the increasing use of smartphones, communication between people has spanned across countries. However, mobile carriers are unable to keep up with the pace and still charge quite a lot for international voice calls and messages. Although multiple apps are there that allows you to send text messages to your contacts for free, using only your mobile internet or Wi-FI, people who are not quite compatible with the updated technology gets into problem, especially when they are required to install a new app. textPlus brings you the solution, let’s see how. 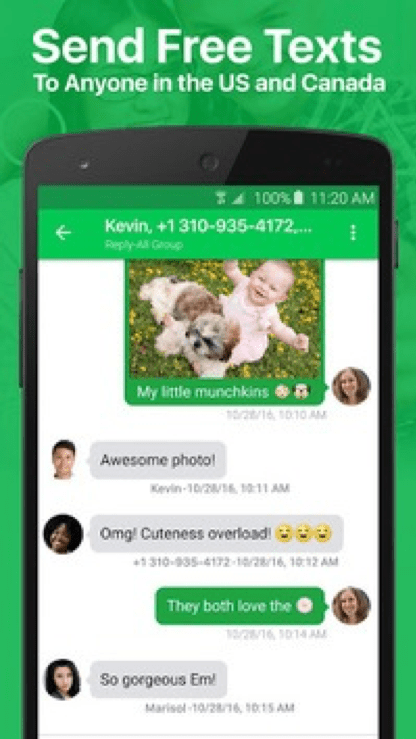 You can find top 10 messaging apps for Android here. What makes this app unique is that it allows you to send text messages to people living in Canada and the United States for free. Moreover, the person whom you are sending the text to is not required to install the application. So, the problem mentioned earlier for people who are not so tech-savvy is resolved. Only the person sending the text has to install the app and without paying a heavy fee to the network operator, they can send messages using any regular text app. One more feature is that textPlus operates via WiFi apart from using mobile internet. So, if you are using a networking operator in the US and traveling to Canada where you may face low network connectivity, you can use WiFi to stay in touch with your family. textPlus app also offers international incoming and outgoing calls at a very low cost. For Mexico, Canada, UK, and China, the cost is as low as 3 cents per minute. 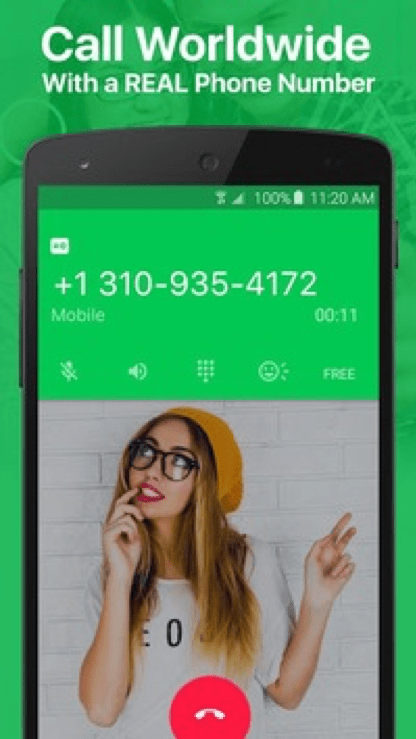 Your textPlus mobile number works just like any normal mobile number and anyone who needs to contact you can use a regular phone instead of using any special application. After we got to know how the app works. Let’s shortlist the features that make it unique. The app allows you to select your own personalized number. If you want a number that is simple to remember or represents something that has a meaning, you can do that using textPlus. You can even choose an area code if you want to add a familiar tone to your number. Nothing is more annoying than paying a hefty amount for roaming charges, only to find out that you have received an unimportant call. textPlus allows you to receive calls without paying any roaming charges. So the next time your mom calls to find to how you are and you are on a tight budget, be worry free and use textPlus to enjoy free incoming and low-cost outgoing calls. Group texting and sending MMS used to be an expensive feature, even with international texting plans. textPlus helps families that spread across continents share pictures of their memorable moments to groups at a very low cost. All you need to do is install the app, choose your customized number, click a pic and hit the send button. With every application, cons come hand in hand with the pros. The same is applicable for textPlus. Although the roaming charges are low, it is not that much low. Competitions for the app is rising with more network provides and applications providing similar features at a comparatively lower cost. The free texting feature is only limited to the United States and Canada. If you decide to travel to Mexico or some other country, the app won’t be of that much help. Still, the advantages overshadow the cons, especially when you travel a lot and require to keep in touch with your family during your leisure or business trip. So, install textPlus and get a second phone number that will allow you to stay connected with your contacts without breaking your fund.